This morning I woke up to Facebook telling me it was National Kiss A Ginger Day. This day has apparently been created to stop ginger people being bullied and abused by society and instead to show Ginger people some love. By inviting people to kiss a ginger. Now, as a redhead, and one that was bullied relentlessly throughout my teenage years, how am I meant to feel about this day? I could feel proud that us ginger people have our very own day. A day where we can be talked about, shared across social media and sent tweets and text messages giving us metaphorical kisses. But International Kiss A Ginger Day doesn’t make me feel proud, not in the slightest. It makes me feel sad that this is what society has become. Everything has to have a day and someone, somewhere thinks that the years of abuse people like me suffered can all be fixed with giving us our own day – so one day a year ginger kids can be kissed instead of verbally abused in the playground. International Kiss A Ginger Day makes me quite angry too. We don’t have a international day for brunettes or blondes do we? So why segregate ginger people even more by having an International Kiss A Ginger Day? International Kiss A Ginger Day is nothing more than a celebration of the ridicule that ginger people have had for years from the kind of people that still shout “Oi, ginge!’ at me out of car windows and think it’s acceptable to create Christmas cards that say “Santa loves all kids, even ginger ones”. I can almost hear people reading this post, telling me to get a grip, to just laugh it off and not to waste energy on it. That it’s just one of these days people make, that it’s meant to be a joke. But it isn’t funny really is it? I am sure getting called names in the street should be funny, getting water tipped over my head during lunch break at school should have been funny and my Head of Year telling me just to get used to it should have also been funny shouldn’t it? Society keeps segregating ginger people, making them into a whole sub group and treating them as something different to everyone else, something of ridicule. Whilst this is happening ginger children will still get bullied because other children only know what society and their parents teach them – and sadly the people that create these days, and these Christmas cards, are someone’s parents. We wouldn’t be allowed to have a International Kiss A Muslim Day, International Kiss A Disabled Person Day or International Kiss a Lesbian day. So why is it ok to have an International Kiss A Ginger Day? 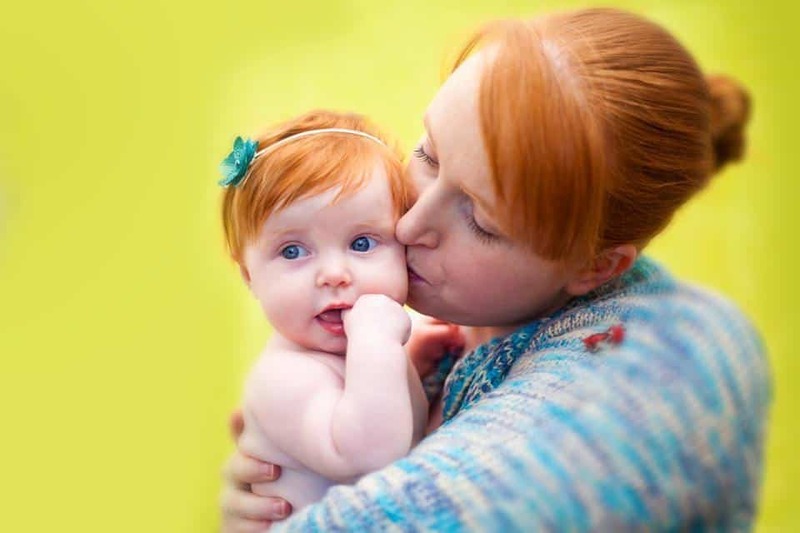 It isn’t and I for one will not be kissing any gingers – apart from my daughter, who I hope doesn’t have to grow up in such a small minded society. Yes, I agree, it’s just discrimination under another name even if it’s trying to be a positive thing, why single out a particular sector of society just because of their hair colour. Shocking behaviour if you ask me! Totally agree with this, I’m a redhead and again teased throughout school (mostly in the younger years) and even now you still get the odd comment as a grown up! You’d think society would slowly grow out of segregating people by colour of hair and anything for that matter but I don’t see it happening anytime soon. i think this is very patronising and degrading to redheads everywhere! as you say kiss another person day would be deemed out of order, so why come up with this one? I agree with you! It is just singling people out and is so patronising! Mamma of two red headed wild things here – I hear you! Makes my blood boil to think that my beauts will ever face ridicule over the colour of their hair. I would love to have your hair colour, looks fab! Your daughter is so beautiful and sweet. I agree with you, there shouldn’t be a Kiss a ginger day or Kiss a anything-other-than-the-majority day. What a bloody ridiculous ‘day’ some brown or blonde haired idiot has created! It is offensive, short-sighted and out rightly ridiculous! I love your beautiful red hair and your gorgeous pickles. Bullies will always find a reason to bully unfortunately….usually to make them feel better about their own insecurities….but this ridiculous ‘day’ it just made up by some small minded fool! ???? My little boy is so proud of his ginger hair – he calls it his “special red hair” – my sister is a redhead and was bullied for it at school. I want Ben to know that his hair is awesome. I haven’t heard of this before! I can’t imagine why anyone would feel the need for a day like that… I find it so surprising that people think days like this are acceptable – might as well have ‘point out the difference day’ or ‘lets give everyone a label day’. And can I just say that the photo of you and your daughter is gorgeous!